Where The Hell Was Malcolm Butler? 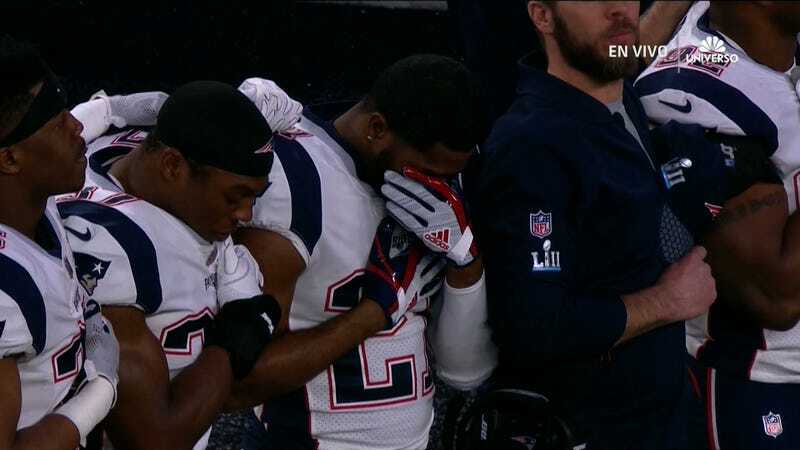 Malcolm Butler, the hero of Super Bowl 49 and starting cornerback for the Patriots all season, wasn’t on the field for any defensive snaps as New England lost 41-33 to the Eagles in Super Bowl 52. If you have an answer for why: Please get in touch, Bill Belichick. Butler, who had played approximately 98 percent of defensive snaps during this regular season, saw no time on that side of the ball Sunday as the Patriots gave up the most yards ever under Belichick. In Butler’s place was Eric Rowe, who is fine and two inches taller, but not as good. The Eagles’ offense took the opportunity and picked on Rowe. He wasn’t totally terrible, as he did have a couple of crucial pass breakups in scoring opportunities, but he also was the guy helplessly pawing at Alshon Jeffery as the Eagles receiver scored to give Philadelphia a 9-3 lead. With only three corners dressed, Butler sitting also meant that safety Patrick Chung had to handle Nelson Agholor out of the slot, and he was overmatched—Agholor hauled in nine catches for 84 yards. Belichick said after the game that Butler’s unofficial benching wasn’t disciplinary but a coach’s decision—using the players he thought had the best chance to win the game, which is a vague, useless explanation that’s also easy to challenge. How would the player relied on for essentially the entire season not be useful in the final, most important game? “We just played all the guys we could to try to help us win, whatever packages we had, whatever situations,” defensive coordinator Matt Patricia claimed. Some of Butler’s current and former teammates weren’t pleased either. In an Instagram post, former Patriots corner Brandon Browner referred to “a locker room...divided pre-game,” and wrote “you were hurt/burnt where [Butler] was needed tonight.” The post was liked by linebacker Dont’a Hightower, and by former Pats Jamie Collins and Alfonzo Dennard. If this is how Butler’s time with the Patriots ends, it’s an ugly way to go, but it’s in line with how he was treated before the season. As a restricted free agent in 2017, Butler’s contract options were limited, so he had little choice but to sign a one-year, $3.9 million offer sheet, seeing as the Patriots didn’t want to sign him to a long-term deal. This offseason, he’ll be able to sign anywhere he wants. It’d be understandable if he holds these two episodes against them.